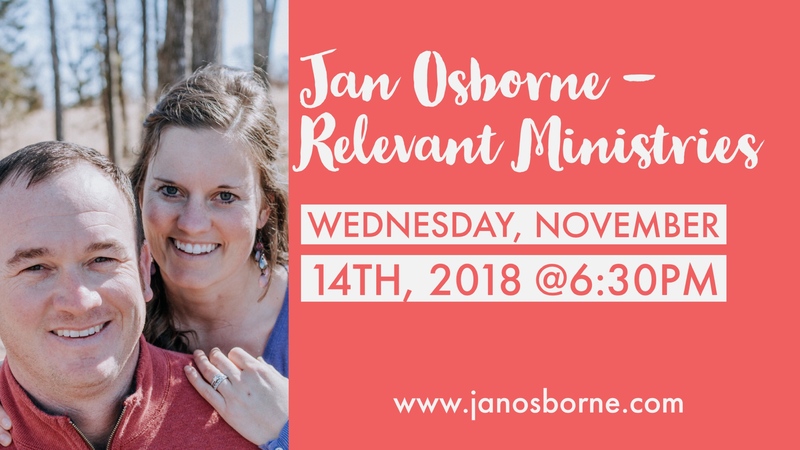 We are so exited to have author and speaker, Jan Osborne, with us on November 14th! Jan grew up going to church, but didn’t realize there was more to salvation than church attendance until she was 24. After truly surrendering her life to Jesus, God began to lead Jan into a totally different path than the one she had planned for herself. She quit teaching school, and began homeschooling and writing books, as God gave her a message to share those books with the world, one church at a time. Her mission is to reach the suggested 60% of church members who are just like she was – thinking a church membership equates a relationship with Jesus! She loves seeing people on fire for Christ, and hopes to change lives for Him.